Did you ever stop to think what the expression, "It's up to you," means? It's rather a peculiar turn of phrase. 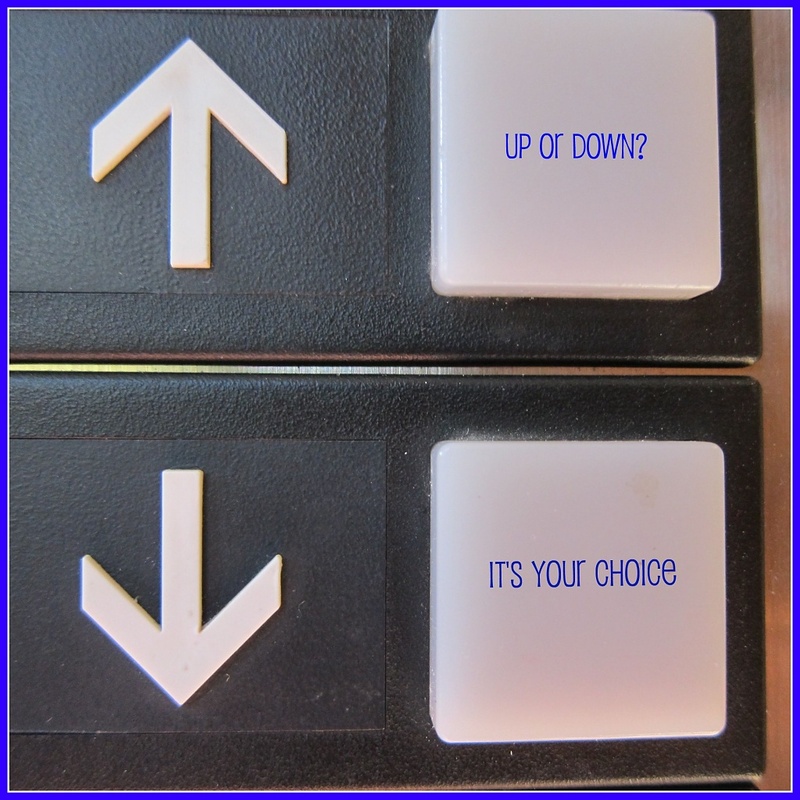 Why not say "It's down to you,"? Standing outside the one elevator at school, I pondered the symbolism of the arrows. Every day you are faced with decisions. Some you make without thinking, some you feel you have no choice, but often the direction you take, the attitude you have is up to you. And making that decision thoughtfully can make all the difference in your day and in your life. P.S. I added the words when I processed the picture. Pretty deep thinking while waiting for the elevator. Good use of your time. And we do say "it comes down to this" sometimes when making decisions. Don't you often wonder where some of our little word groupings originated.